Mammoet Salvage is suspected of bribing an Iraqi politician to collect outstanding bills for the problematic salvage of oil tanker Amuriyah, which turned sour after terrorist group IS invaded Iraq. The Dutch company has been paying politician Mowaffak al-Rubaie, who claims to be the person who hanged Sadam Hussain, 8,000 dollars a month and promised him a ‘succes fee’ if he could help collect the outstanding debts, writes Dutch newspaper NRC which has obtained a large amount of internal documents of Mammoet’s parent company SHV. As a parliamentarian and former head of national security Al-Rubaie has close ties with the minister of Oil, who’s ultimately in charge of the government owned oil company South Oil Company that contracted Mammoet to salvage the oil tanker. The Amuriyah sank in 1991 after it was bombed by the US air force during military operation Desert Storm. The US had feared Sadam Hussain would crash the fully loaded vessel into a nearby oil rig to stop an invasion. Mammoet Salvage won the salvage contract in 2012 with a price of 65 million dollars, plus another 30 million dollars if the vessel couldn’t be lifted in one piece. The contract turns sour after terrorist group IS invades Iraq in 2014 and Iraq stops paying Mammoet because it needs all its funds to fight IS. After only a few months the unpaid bills total an amount of 55 million dollars. The dispute escalates when Mammoet decides to stop the salvage operation. 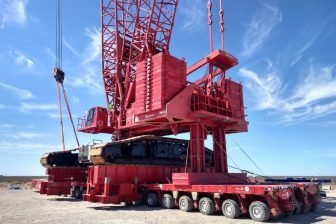 After several difficult meetings and increasing tension between the Dutch company and the Iraqi government, Mammoet agrees to continue the operation. 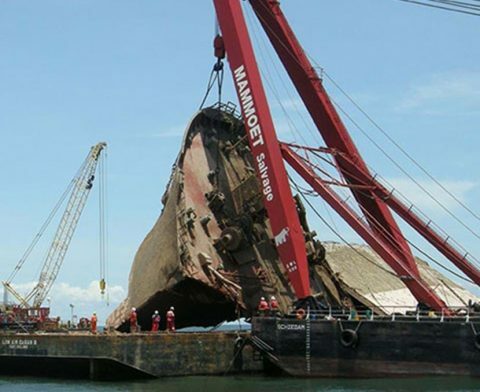 In 2017, the Amuriyah is hoisted out of the water in several large pieces. At that moment, Mammoet Salvage is still owed 120 million dollars for the extra work and delays. 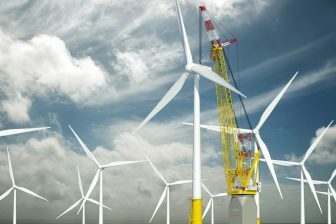 Dutch authorities are now investigating the case including three other cases of suspected bribery at other affiliates of Mammoet’s owner SHV. 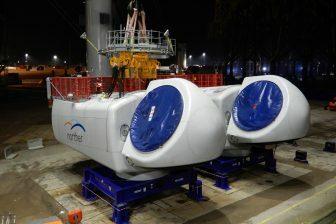 Most parties decline to comment on the case, but director Fokko Ringersma of Mammoet Salvage has read the article before publication and acknowledged it as ‘being true’, NRC reports.